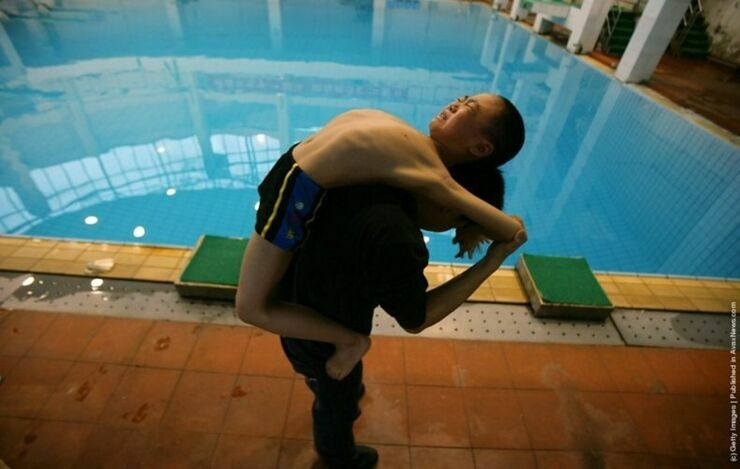 It's a horrible sight to see, but with the Tokoyo Olympics coming up in 2016 these pictures are a timely reminder of the abuse some Chinese children suffer in the race to become an elite competing Olympic athlete. 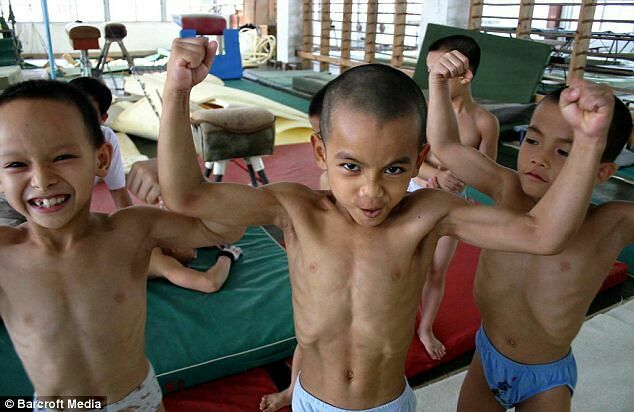 Many of these photos are from the Nanning Gymnasium in Nanning, China, known as one of the most harsh training camps in the country. 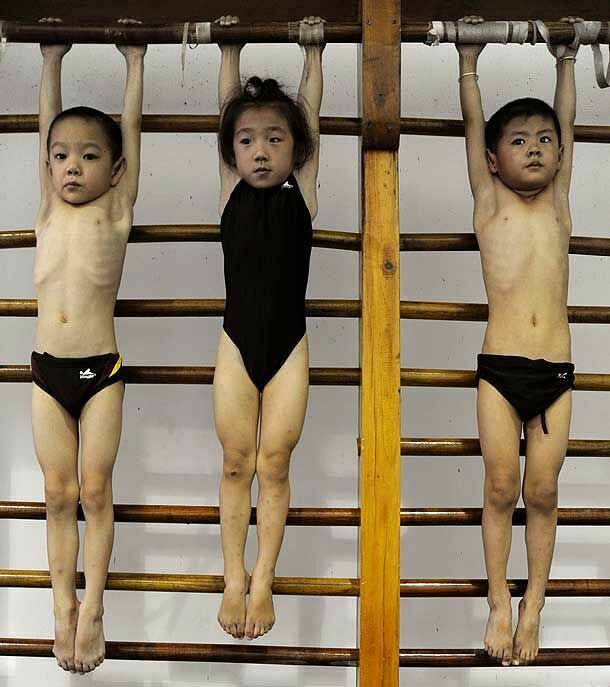 As harrowing as these pictures are, astonishingly, Chinese parents willingly send their children there to learn how to become Olympic champions (see the photos below). 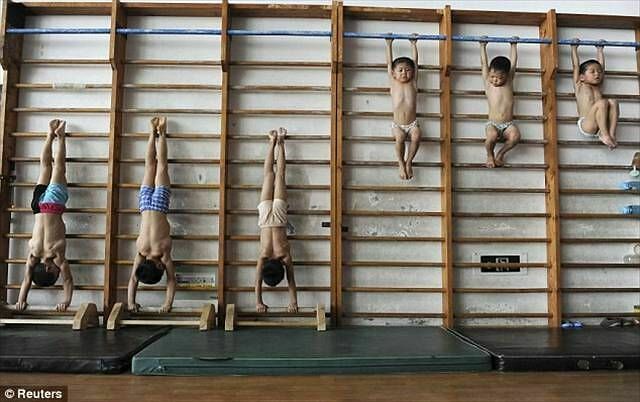 Chinese children start training incredibly young, from around 5 or 6-years-old. 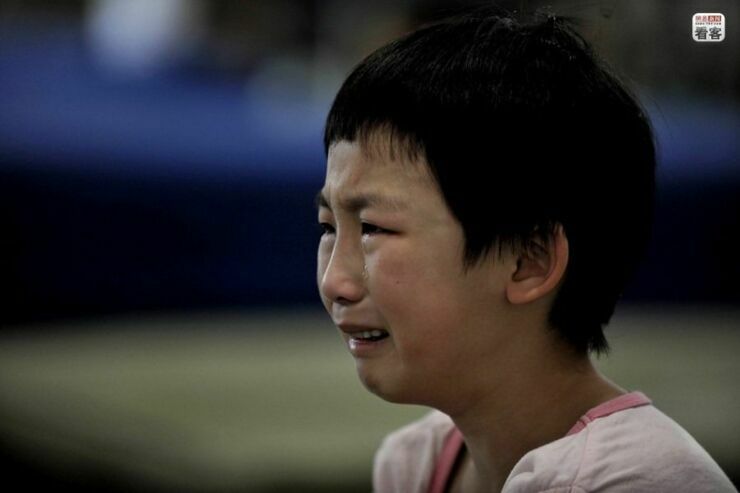 It wasn't just leading up to Beijing 2008 that the abuse happened either, Reuters reported that it was still going on for the last Olympics held in London in 2012. "The whole-nation system is disastrous. 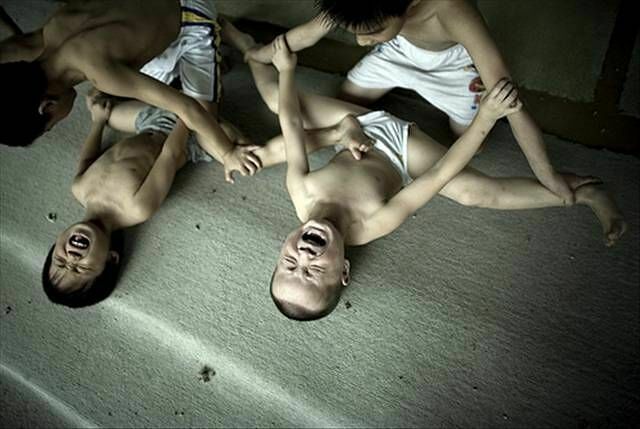 The budding young talents are shut up in closed training schools from a young age and apart from their own events, almost have no other life skills." Reuters quote a user on China's microblogging site Sina Weibo. 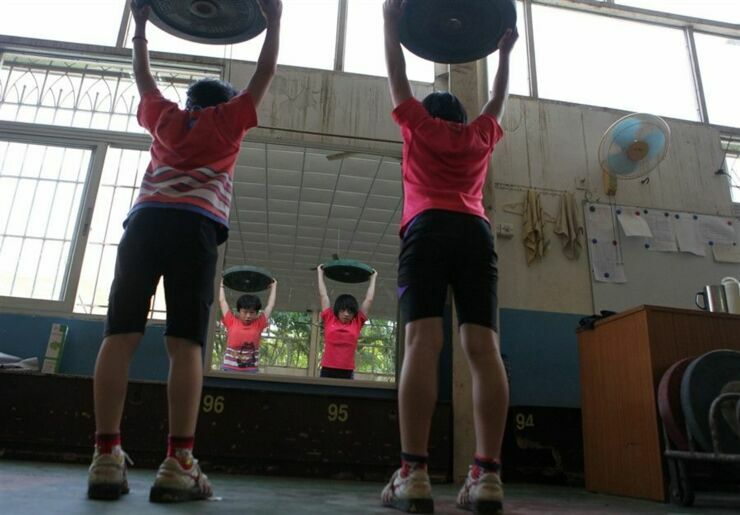 The Chinese see their elite sport programme, part of the Communist "juguo tizhi" or "whole nation system", as a way to boost national pride and build confidence. But the good news is that it looks as if this is in decline. 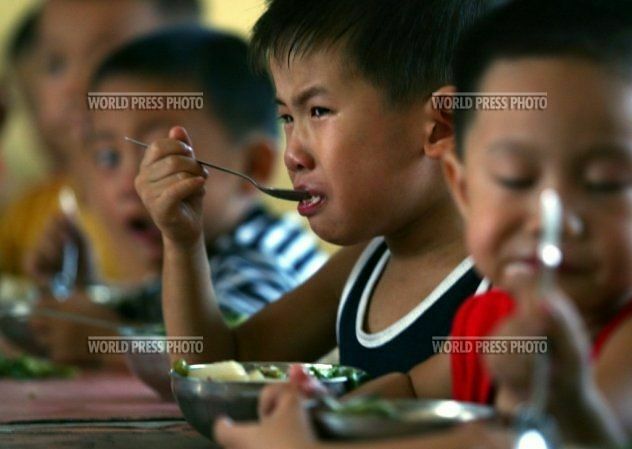 In recent years as China grows more prosperous and a larger focus is placed on different forms of education for young Chinese children with Fewer parents willing to let their children endure grueling training routines. 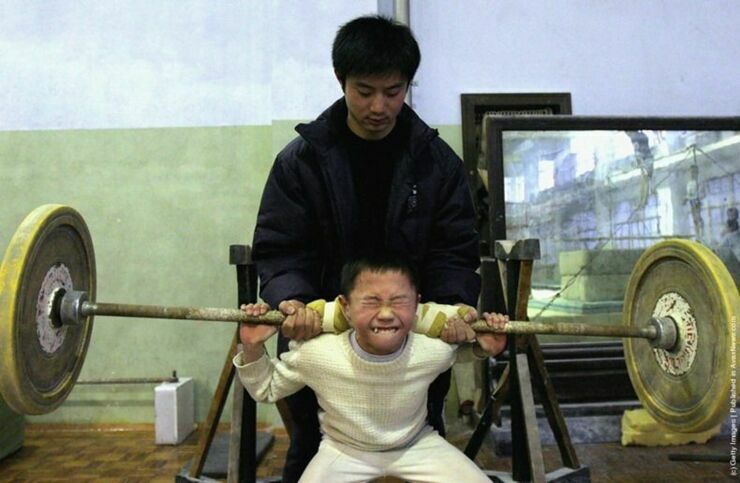 The Daily Mail reported "Debates about the continued relevance of the sports school system began to emerge after the 2008 Beijing Olympics, Huang and other schools said, as emerging tales of difficulties facing retired athletes jarred against rising expectations of education standards among China's booming middle-class." 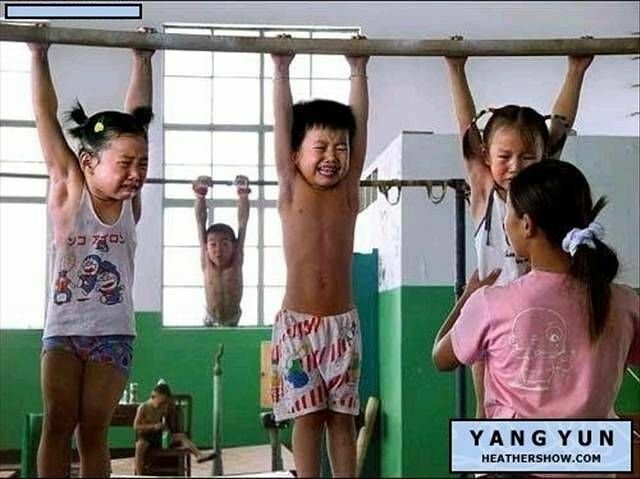 The Mail goes on to say "The country's declining birth rate as a result of China's one-child policy has not helped either, along with its cut-throat education system, which sees Chinese children spending twice as much time on homework a day compared to the global average." 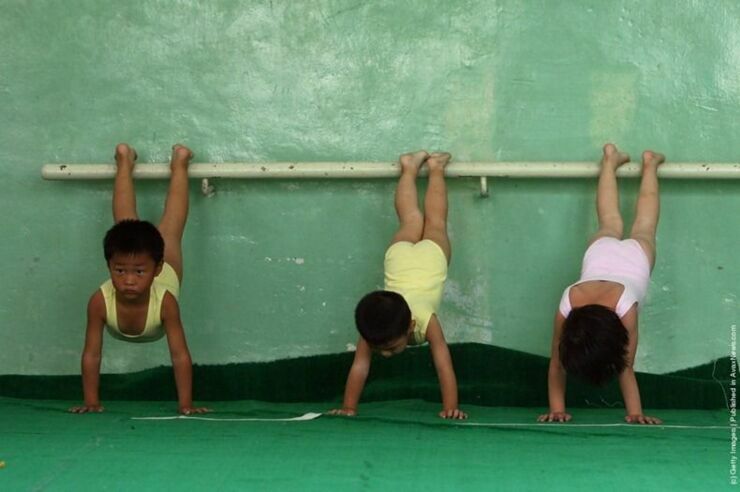 Check out some of the disturning photograps below from the Nanning Gymnasium in Nanning, China.